How Often Should you Prune your Tree? I have a lovely crepe myrtle tree in my front yard and every year it displays beautiful bright pink blossoms that I look forward to enjoying. Needless to say, I want my tree to stay healthy and flower for years and years. So caring for the tree and taking the right steps to keep it healthy, is important. And one of the most important steps is to prune your tree the right way at the right time. Pruning can be done at any time of the year, which involves the removal of damaged, weak, dead, or crossing branches. Poorly-timed pruning, like that done in early winter or in the fall, can cause injury to a tree and limit or eliminate its foliage and flower production. Late winter/early spring – Trees or plants that will flower in the summer should be pruned at this time of the year while they are still dormant. During this time, their bare limbs make it easy to see their structure, and the quickly-following spring growth will heal the wounds. Late spring/early summer – Spring-flowering trees and plants should be pruned immediately after their blossoms fade. This will maximize flower production for the next year. Mid-summer – Trees that have exceptionally heavy spring sap flow, or “bleeding” trees, should be pruned at this time after their leaves have fully developed. As a general rule of tree pruning, try to remove only 25% of growth at any given time. Taking out more growth will negatively impact a tree’s health. 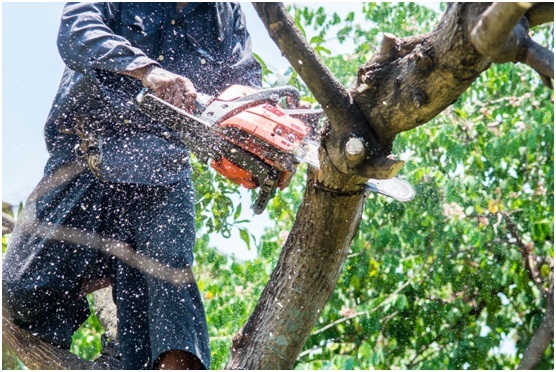 Performing proper tree pruning involves three main pruning techniques — removing dead or unhealthy branches, thinning out the crown, and raising the lower limbs of trees to clear objects and views that are obstructed. These techniques not only keep the tree healthy but also help to train them for future growth. Do not overlook the opportunity to prune trees while they are still young. Doing so creates better form and health for your tree, which will decrease the need for future pruning as the tree matures. Since pruning times and techniques vary with the type of tree, where it is planted, and the climate you live in, the best way to answer how often to prune your tree is to find a reputable tree service company like Advance Tree Pros that employ certified arborists. Based in Florida, our professionals can help you with tree removal, pruning, land clearing, and many other services. 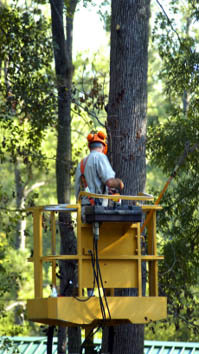 Our highly-skilled ISA certified arborists are able to handle all jobs big or small. They can help to figure out the timeline that works best for pruning your particular tree. After all, timing is everything when it comes to pruning. If you have more than one tree, they can take a look at all of them with you and tell you approximately how often you will need to prune various trees throughout your property. At Advance Tree Pros, we are proud to provide the best tree removal services Orlando has to offer. But we are not just an Orlando tree removal company. Bush and landscape clearing, stump removal, crane service, and grapple truck service for hauling debris are also provided by us. Providing fast, professional, and affordable service is always our goal. Our commitment to being environmentally friendly means that we recycle 100% of all debris so that it does not end up in landfills. Unlike some other companies, we use our own cranes and other heavy equipment, so getting even the toughest job done means less time and better results. Our customers can vouch for our professionalism and by providing them with the best of service, we are Florida’s leading tree service company. For pruning trees or any other services, just call us at 407.960.4893 and we would be happy to provide a free estimate for you. We may also have specials or discounts available for you to avail of. So call us today and make your trees and your yard healthy and beautiful!